Here is a list of some Indian celebrities who have often been seen using some really mainstream/humble cars. Using ‘normal’ cars help our celebrities maintain a low profile and blend into the environment. Aamir Khan is among the most followed and the most respected actors from Bollywood. It is said that he’s a pretty down-to-earth person who isn’t into keeping a larger-than-life personality. He has been seen using his wife’s Ford EcoSport on many occasions. He also owns a Mahindra XUV500 that shares the garage space with a Bentley Flying Spur and a Mercedes S Class Guard. John Abraham is widely known for his love for cars and bikes. 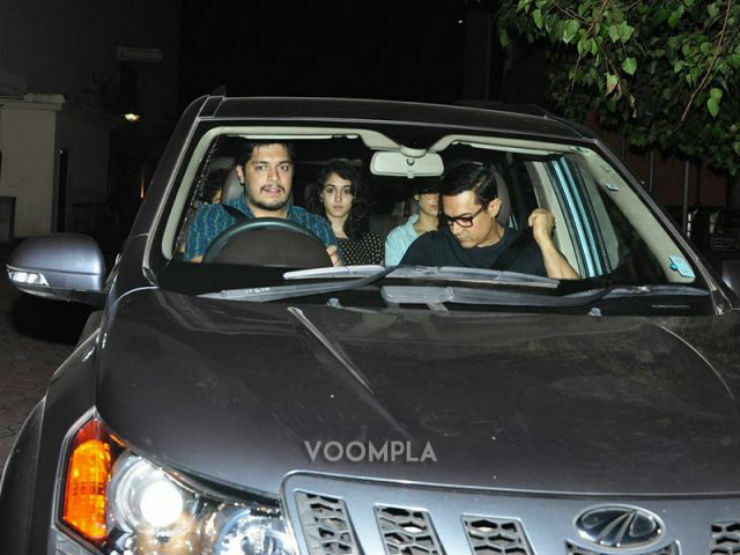 The Dhoom-actor seems to love SUVs, which do compliment his personality. No wonder, then, that he owns an Audi Q7 that seems to be his chariot of choice. However, he also owns a Maruti Suzuki Gypsy, which, in a stark contrast to the Q7, comes across as pretty utilitarian. That said, there’s really no match for the high appeal of this ‘mountain goat’. It is said that John’s connection with the Gypsy dates back to the time when he was a kid. Actually, his dad booked a Gypsy soon after it was launched but had to cancel it owing to unknown reasons. It is said that Akshay Kumar, one of the highest paid Bollywood actors, maintains a very down-to-earth profile. 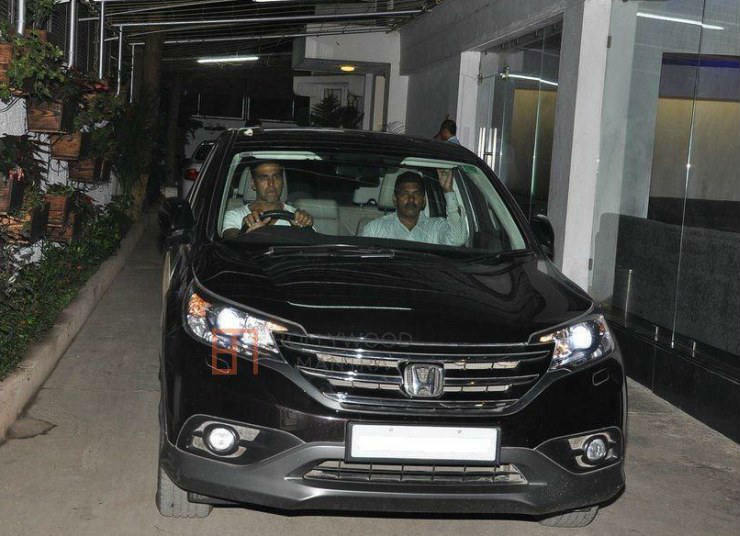 While Akshay owns some much-revered brands like the Range Rover and the Bentley, he has been seen driving around in his Honda CR-V on many occasions. While Dhoni’s car-collection is known for his very flashy Hummer and a customized Mahindra Scorpio, he also owns a Mitsubishi Pajero SFX. Dhoni’s Pajero is powered by a 2.8-liter engine that outputs a maximum power of 118 Bhp along with a peak torque of 292 Nm. The last-gen Pajero also boasts some very capable 4×4 hardware. Ranveer Singh is not only the brand ambassador for the Maruti Ciaz but also (sometimes) drives one! His Ciaz seems to have been gifted to him for his association with Maruti’s highly popular sedan. Ratan Tata is neither a Bollywood actor nor a Cricket star. However, he is still one of the most recognizable faces among the industrialists of this country. His garage includes a Mercedes drop-top, a Chrysler, and even a Cadillac, but he has been spotted driving his Honda Civic on many occasions. 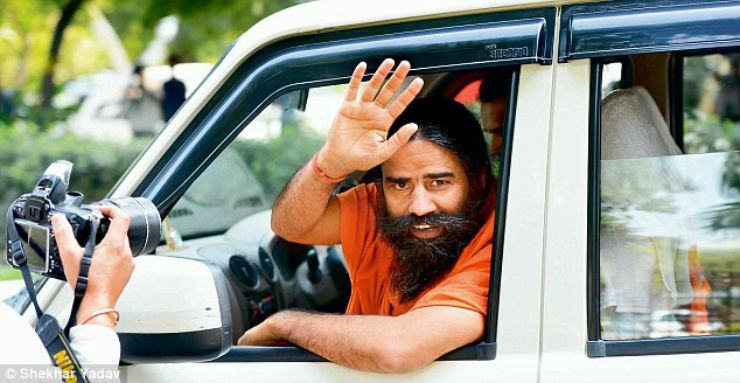 While the most expensive car in Ramdev’s garage is a Range Rover Evoque, he can be regularly seen being driven around in his Mahindra Scorpio. 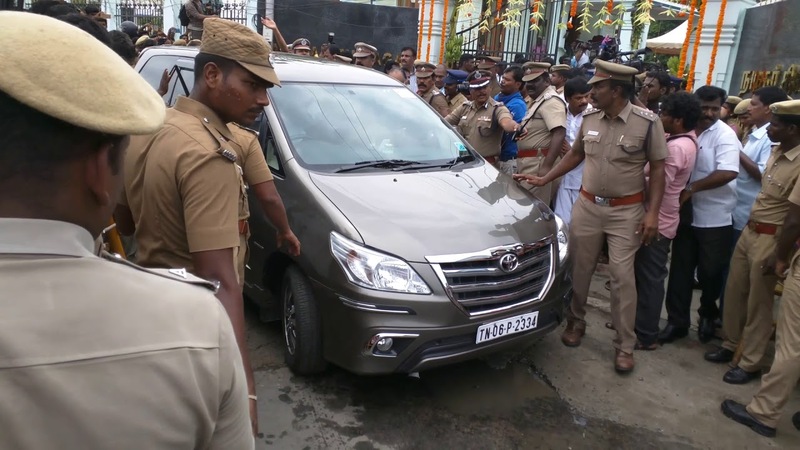 Rajnikanth, the very popular South Indian superstar, owns a Toyota Innova. 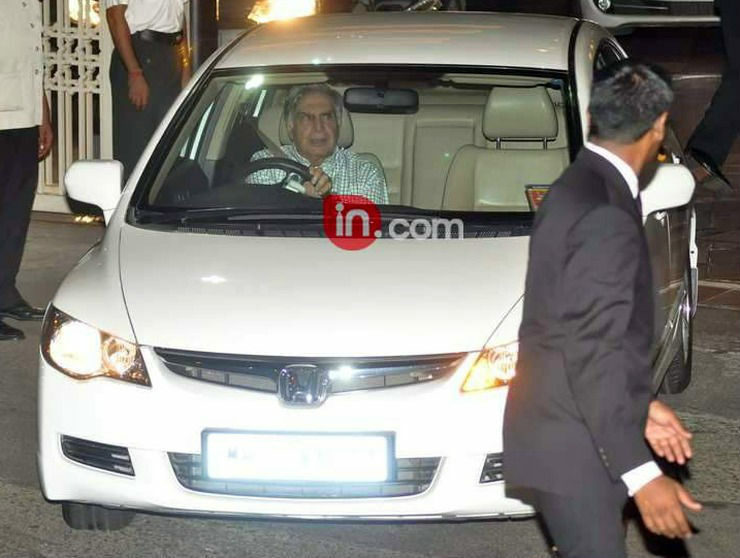 Well, he also owns a BMW X5, which is one of his recent acquisitions, but he still uses his Innova on many occasions. Malaika Arora is a fairly accomplished actress, dancer, and a TV presenter. However, she drives a Toyota Innova! It’s pretty interesting to note that an actress of her caliber prefers driving around in a large-ish MPV with a manual transmission. 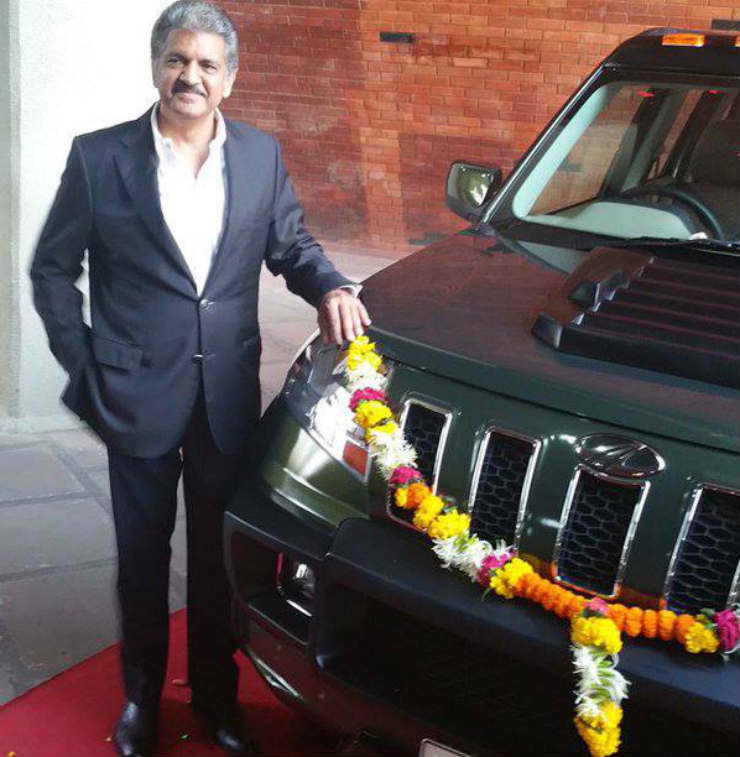 Anand Mahindra is another industrialist who can be seen using some really mainstream cars. He owns a modified TUV300 that is finished in olive green. His TUV300 also sports the “Armour Body kit”, which adds a front and rear stone guard, side cladding, front bumper extensions, a hood scoop, larger wheel arches and lights on the roof.